Chatting to our neighbours the other day, they handed us a huge bag stuffed full of home grown passionfruit. They were some of the biggest I have seen, inside they were full of plump seeds and, tipping them up, a golden passionfruit juice poured out. While I like cutting them open and eating the flesh straight from the fruit, passionfruit can be incredibly tart and there is a gamble in getting one that makes your lips pucker and eyes water. Another option is fresh over vanilla ice cream; simple and refreshing, the sweetness of the ice cream cuts through the tartness. After a week of this dessert, we had hardly dented our supply, so I started trawling the internet looking for recipes that would use it up. 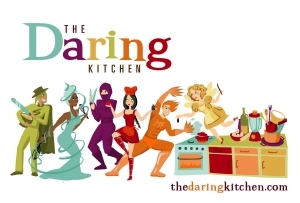 I found a recipe for passionfruit pound cake which has low fat ricotta cheese added, which makes the final cake rich and moist, but not heavy to eat. I chose to substitute the white sugar for a sugar substitute. 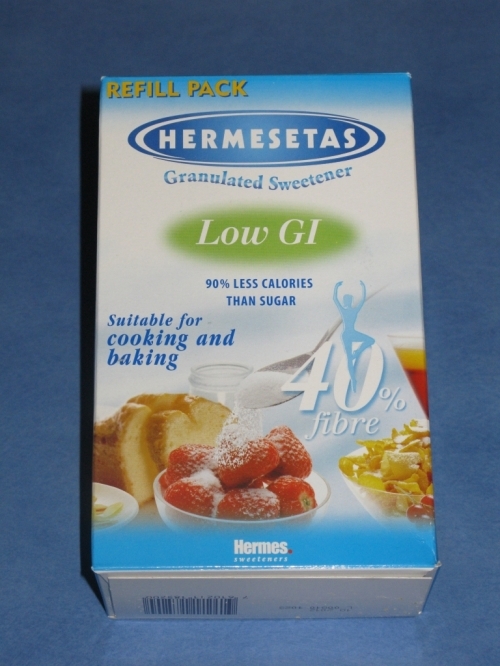 I used Hermesetas Granulated, which states on the packet that when measuring by volume, it is cup for cup with sugar. I hadn't used this previously, so I was interested to see how well it would bake. From the final result, I don't think you would know that it was not sugar. The cake tastes how you would expect and with the sweet passionfruit icing it packs so much flavour you wouldn't known it is such a guilt free treat! I have adapted this recipe from Syrie Wongkaew (found at about.com). Prepare a loaf tin and set aside. Cream together butter and sugar substitute (or white sugar). My only criticism in using the sugar substitute is that it is a lot lighter and fluffier in texture compared to sugar, and applying an electric beater meant I was very rapidly coated with a fine white dusting. It just doesn't work like sugar in that respect. To fix this, I added a big spoonful of the ricotta and the moisture helped to settle the dust and I could cream it properly. Add the remainder of the ricotta, and the lemon zest, and beat until light and smooth. On a low speed, gently add the eggs one at a time. Add vanilla extract and passionfruit juice, mix well. Sift together flour, baking powder and salt. Incorporate gently into wet ingredients. Pour into prepared tin and smooth top. Bake the cake for 25 mins at 180°c, then lower the heat to 150°c and cook for a further 30 mins, until cake is golden. 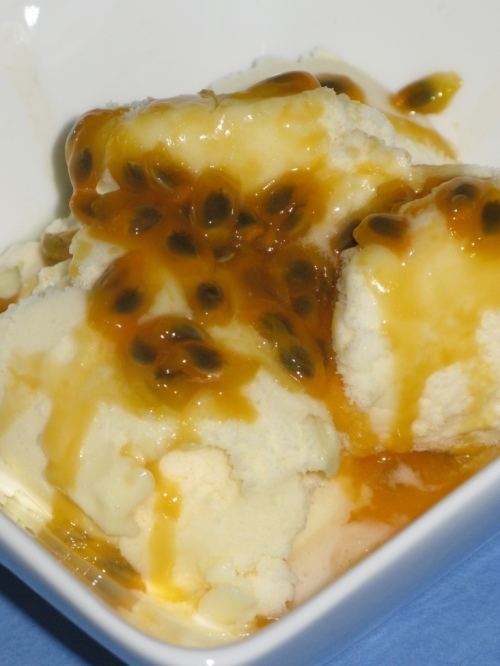 Allow to cool, then spread with passionfruit icing. The icing is where you can really use up your fruit. We started with 1 passionfruit, and kept adding because Waz didn't think it had a strong enough taste. When it finally ended up on the cake, it was fluoro yellow and very seedy, but oh so tasty. You can always strain the passionfruit through a sieve to remove some of the seeds and keep the flavour. Mix together 250g cream cheese, ½ cup icing sugar and the pulp of at least 1-2 passionfruit, but it is up to you how much you add.